Eva's Village (http://www.EvasVillage.org), a comprehensive New Jersey anti-poverty charity, seeks year-end charitable contributions to meet an increasing need. Eva's Village is seeking support to help the poor in New Jersey during the current economic recession. By giving a charitable contribution to this trustworthy charity before the end of the year supporters can lower their tax bill for 2009. Paterson, New Jersey: In November, 2009 the unemployment rate in America was reported to be 10.0%, while unemployment in Passaic County (where Paterson is located) was already reported to be 11.7% in the prior September. America’s most troubled cities, like Paterson, are seeing an increase in homeless individuals and families. At Eva's Village in Paterson, the daily hot lunch for the New Jersey homeless and working poor has increased from 260 servings per day to more than 400 (reaching 500 on some days), far more than planned for in 2009. As the need grows, model anti-poverty charities like faith-based Eva's Village don't shy away from the challenge. The aggressive anti-poverty mission of Eva’s Village is to feed the hungry, shelter the homeless, treat the addicted and provides free medical and dental care to the poor, with respect for the human dignity of each individual. It is very important for Eva’s Village to seek out new funding and to ask past supporters for their continued support. When making year-end charitable contributions for a tax benefit, it is important that donors have confidence in the organizations they plan to donate to. Eva's Village, located in Paterson, NJ, has received 3 consecutive 4-star ratings by Charity Navigator. This designates Eva’s Village as a NJ anti-poverty program that “consistently executes its mission in a fiscally responsible way, and outperforms most other charities in America.” Only 13% of the charities rated by Charity Navigator received 3 consecutive 4-star ratings. As noted by Ken Berger, President & Chief Executive Officer of Charity Navigator, “this rating has been awarded to Eva’s Village because of their sound fiscal management, and demonstrates to the public it is worthy of their trust”. Eva’s Village reports that the organization’s priority has always been to successfully fund their many anti-poverty programs while keeping administrative costs to a minimum. 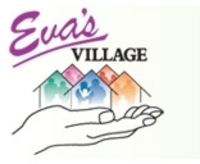 During their 2007-2008 fiscal year, Eva’s Village allocated just 10% of expenses to administrative costs, with the rest going directly to feeding the hungry, sheltering the homeless, treating the addicted and providing free medical and dental care to the poor. Sister Gloria Perez, Executive Director of Eva’s Village says, “Because we run a tight ship, we are able to help more of those in the greatest need, and both private and government funders have confidence that the funding they provide will be utilized with strict accountability”. Make that year end contribution to Eva’s Village Journey of Hope and know your donation is being used towards continuing their mission. Eva’s Village feeds the hungry, shelters the homeless, treats the addicted and provides free medical and dental care to the poor, with respect for the human dignity of each individual. Founded in 1982, Eva’s Village is now one of the most comprehensive and respected anti-poverty programs in the state of New Jersey and has helped hundreds of men, women and families find new purpose in life. This press release has been distributed by SalemGlobal Internet Interactive Public Relations. Based in New York City, SalemGlobal, optimizes websites to increase donations for non profit organizations, increase traffic from search engines, provides lead generation, and improves conversion of site visitors to buyers. Other services include general website marketing, search engine optimization (SEO), ecommerce solutions, content management systems, website hosting, web design and maintenance. For more information, please contact CEO Raphi Salem at 646-217-4733.